Let us help you find the right mix of Luxium Lighting and Control products to transform your space. We know every lighting situation is different and what to choose can be a challenge. 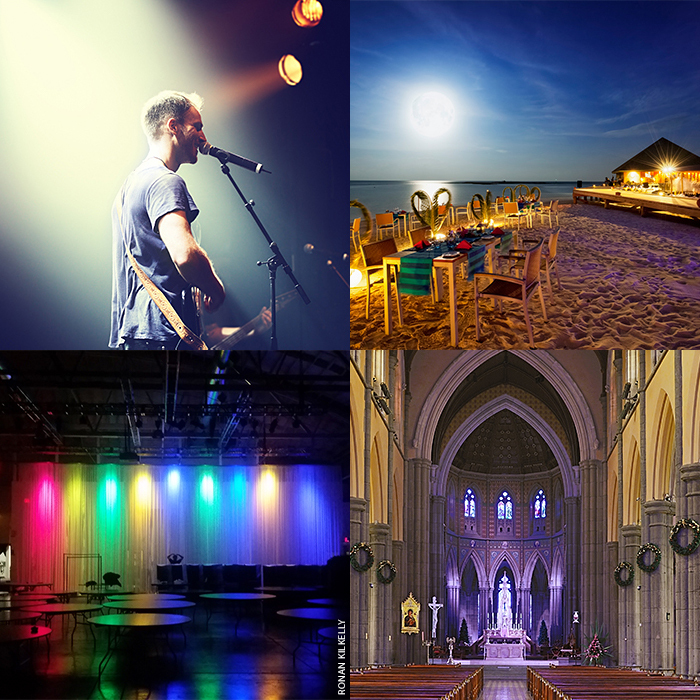 The good news: Luxium has lots of experience with many kinds of venues and offers a choice of standard products, custom options and basic to advanced system configurations for nearly any lighting occasion. To get started please contact us so we can help you begin your lighting transformation. Ready to buy? Tell us about the products you desire and buy direct from us or we can link you with one of our reps to get focused attention. Choose the path that works for you — we’ll be glad to supply what you want. Contact us via phone or email — we’ll be glad to talk about what you want to accomplish. Based on your needs we will develop a quotation that considers the features and quantities you need. Once we know more about your lighting situation, we will work out a recommendation and connect you with the best set of products to meet your needs. We realize that sometimes seeing is believing and when it comes to transforming your space a chance to give our lights a tryout can really help confirm your choice. Luxium offers a demo program in situations where there may be doubts. To help you experience the quality of our lights and controls feel free to Contact us via phone or email to arrange a preview. Luxium works with a range of integrators, event producers and reseller partners who provide special services and unique capabilities to fulfill customer needs. If you’re interested in working with Luxium, please call us at 833.589.5483, or email us at integrators@luxiumlighting.com. We will be glad to speak with you about sales partner options.